Afghanistan; Algeria; Antigua and Barbuda; Albania; Armenia; Argentina; Austria; Australia; Azerbaijan; Bosnia and Herzegovina; Barbados; Bangladesh; Belgium; Bulgaria; Bermuda; Brazil; Bahamas; Belarus; Canada; Chile; China; Colombia; Costa Rica; Croatia (Hrvatska); Cuba; Cyprus; Czech Republic; Denmark; Ecuador; El Salvador; Equatorial Guinea; Estonia; Egypt; Finland; France; Gambia; Germany; Georgia; Gibraltar; Greece; Hong Kong; Honduras; Haiti; Hungary; Indonesia; Ireland; Israel; India; Iraq; Iran; Iceland; Italy; Jamaica; Jordan; Japan; Kenya; Korea (South); Liechtenstein; Lithuania; Luxembourg; Latvia; Libya; Macedonia; Malaysia; Malta; Mauritius; Mexico; Micronesia; Morocco; Monaco; Moldova; Netherlands; Norway; New Zealand; Oman; Peru; Pakistan; Poland; Portugal; Paraguay; Qatar; Romania; Russia; Saudi Arabia; Sweden; Singapore; Slovenia; Slovak Republic; South Africa; S. Georgia and S.sandwich Isls; Spain; Sri Lanka; Switzerland; Tunisia; Turkey; Taiwan; Ukraine; United Arab Emirates; United Kingdom; United States; Uruguay; Uzbekistan; Venezuela; Viet Nam. Note: We have experience in the safety reporting rules for many more countries than those listed above, for drugs, devices, biologics, cosmetics, compassionate use, biosimilars, vaccines and advanced therapies for both clinical trial and post-marketing situations. 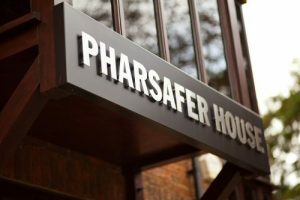 PharSafer House, Ripley, United Kingdom, is the Global Operations Centre for the group. It acts as the central communications hub where all activities are quality assessed before sending to clients or Regulatory Agencies. These purpose built offices were opened in 2012 and operate 24/7, with a team of experts on-hand to respond to scheduled client enquiries as well as urgent and often critical, time sensitive issues.